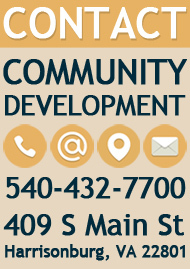 Questions regarding the Cross Connection/Backflow Prevention Control Program can be answered by the Building Inspections Division at 540-432-7700. 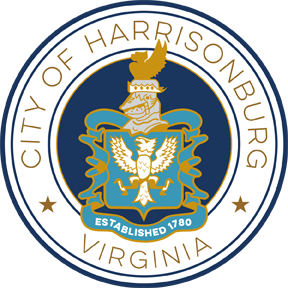 A plumbing permit for a backflow device is required for any new construction, alterations, additions, and/or other types of plumbing work performed in relation to a backflow device in the City of Harrisonburg. A permit is not needed for testing the device. The manufacturers specification sheet indicating the type of device and the ASSE information. Proof of insurance if not licensed as a Class A contractor. The appropriate fee made to the City of Harrisonburg. Provided that there are no problems, insufficient information, or drawings, the plumbing permit will normally be issued within two days of the application. The permit is not valid until the permit fee has been paid, and the permit placard is posted on the job site. The plumbing permit shall be displayed on the outside of the building or premises where it is plainly visible from the street, and shall not be removed until the final inspection has been completed. Final inspection by a licensed third party backflow device worker. Report is to be submitted to the building inspection division. Water service shall not pass through the device until the device has passed inspection.